This month we're all about Xtext, a framework for creating your own programming language and domain-specific language. Stay tuned for Xtext 2.7, which will be released on September 2! Find out what's new and noteworthy. 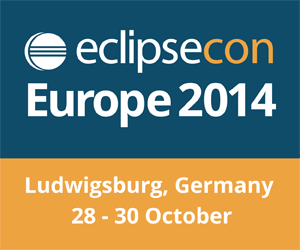 Don't forget to register for EclipseCon Europe. The early registration deadline is October 1. Eclipse Xtext is a framework that makes developing DSLs a breeze. Find out how! When developing a language, one usually needs to test a myriad of cases. Xpect simplifies this by turning documents of your language into test cases and by integrating domain experts into the processes of reviewing and writing tests. Learn how to create a Maven build for your Xtext Languages and how to consume the resulting Maven artifacts from other projects, using Maven and Gradle. Discover how to implement a diagram for your Xtext-based language, such as FXDiagram. The EclipseCon Europe submission are in and the early-bird talks have been selected. Stay tuned for the program announcement. I work as a Principal Software Engineer for Pivotal, the company behind Cloud Foundry, the Spring framework, Groovy/Grails, RabbitMQ, Redis, and more. I work in the tooling group, which implements and ships all the Eclipse integrations for those projects, like the Spring IDE for Eclipse, Groovy-Eclipse, the Grails IDE, the Cloud Foundry Integration for Eclipse, etc. We also ship the Spring Tool Suite as well as the Groovy/Grails tool suite, which are ready-to-use distributions of the latest Eclipse release + our add-ons pre-installed. My main focus is on the Spring tools. In addition to that, I am thinking and working on cloud-based developer tooling as the logical next step beyond the traditional desktop IDEs that we use today. 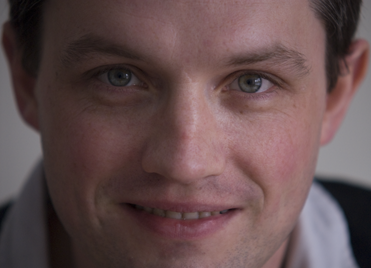 I am also project lead of the Eclipse Flux project, which describes and implements a new architecture for cloud-based tooling and builds a bridge between desktop IDEs and cloud-based developer tools. How long have you been using Eclipse? I've been using Eclipse since version 1.0 (released a long time ago). I used Eclipse as an IDE, but quickly adopted it to building business applications on top of the plugin model (which wasn't even OSGi back then). I also implemented the first load-time aspect weaving implementation, which was based on the AspectJ bytecode weaver implementation, and I integrated it into the Eclipse runtime. This evolved over time, got re-implemented for OSGi, and is now part of the Equinox project (and still serves as a foundation for the JDT weaving hacks). I followed the OSGi foundations of Eclipse for a long time, used OSGi in various environments and helped people adopt that technology. Then, I switched over to implement developer tooling on top of Eclipse. For people who are using Spring I can, of course, recommend to install the Spring Tool Suite components... :-) Personally, I like to keep the installations as small as possible, therefore I don't have specific recommendations for plugins. What's your favorite thing to do when you're not working?